Voting in my hometown Chicago can be fascinating, infuriating, or both. I’ve seen it from more angles than most folks, having served as an election judge (many times), poll-watcher, and “get out the votes” activist (many, many times!). Voting is ugly. This is the truth of it. From the moment you register as a voter, you will discover this. Campaign literature fills your mailbox. The TV screen is filled with attack ads against the “evil other” candidate and plenty of sunny photos of “our candidate” with his/her family and others of assorted ethnic hues. It is all seemingly designed to turn us against the entire process. Human relationships are messed up and hard to navigate. That’s what politics is about… human relationships. How will we govern — govern is to “guide” — a ward, a city, a state, a nation? And who will we elect to take on that job for us? Aren’t all the candidates really just clones of each other? In Chicago, when we arrive at the polling place folks are there counting votes — actually tracking each voter’s name! “Izzat legal?” the unversed voter (or even observer) might ask. Oh, yes. Be comforted — the vote itself is still your secret (unless you tell folks who you voted for). The fact you voted, however, is not a secret. And candidates vying for the same office usually know exactly who “their voters” are, or at least hopefully will be. So they have their precinct captains running around nagging prospective voters, offering rides to the voting booths, handing out “palm cards” (so named because they fit in your palm) with the key candidate’s info emblazoned on it. It feels invasive, annoying, perplexing. Tempting just to stay home, isn’t it… Don’t. 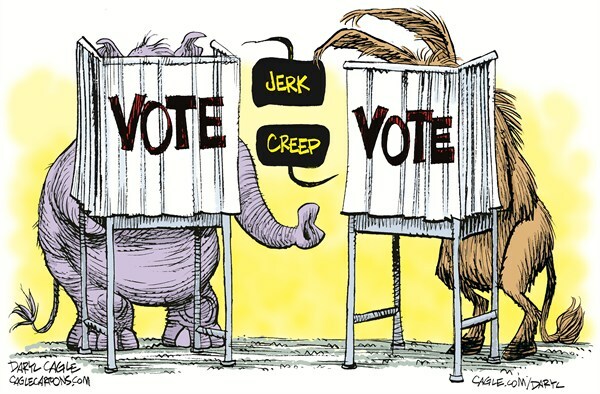 And poll-watchers… same two types. The one that is mainly interested in seeing any and every legit voter get that ballot cast… and the one who knows what voters are voting for “the wrong candidate” and immediately attempts to challenge their right to vote. All most voters have to do is wait out the noise such poll watchers make… but some voters get frightened off or frustrated enough that they simply walk away. That’s a score for the enemies of democracy, and should get your fightin’ blood up! In fact, any and all “noise” from the folks supposedly there to help you vote quickly and easily can and should be viewed as part of a very imperfect process. 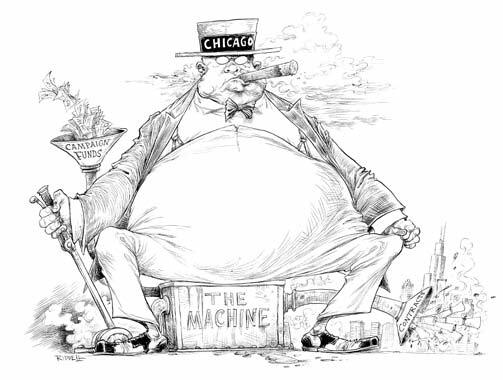 It is messy, invasive, unsettling — the whole gawdawful machine (they call it “the Machine” in Chicago, and no wonder!). Your precinct or town or state may have its own machine. Set out to break it, change it, rebuild it for people instead of powers. All action… hear me now… all action causes reaction, friction, resistance. Nothing that truly causes movement can be done without expending some energy, some personal comfort. It is as though we’ve forgotten what democracy implies… that *WE* are not only the governed but also the government. “Government by the people, for the people, of the people.” Or however those prepositions are ordered. If you want government that doesn’t bother you (as long as you don’t bother it), dictatorship is the way to go. No need for elections there. But in a democracy, every election is going to be a little bit like listening to alley cats yowling. Take comfort in the noise… it is, despite the ugly, also about the process of trying to make things better. 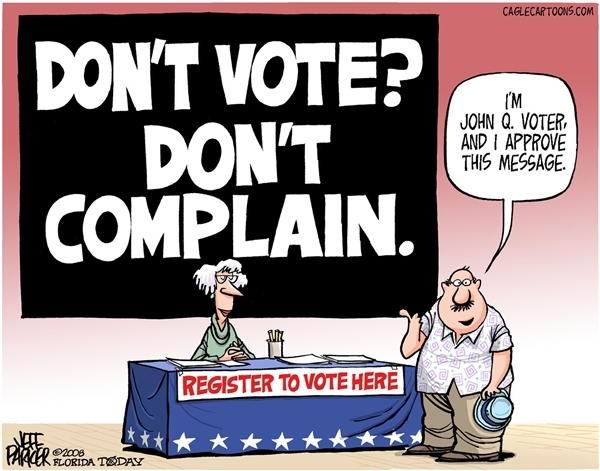 If we choose not to be involved — and being involved means not only voting but bothering to actually be informed! — then we are functionally rotten citizens of a democracy. 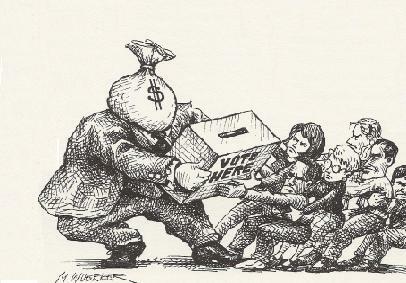 We can complain that the corporations are buying the elections, or that special interests of various kinds control what happens, but largely that SIMPY IS NOT TRUE! We — collectively and individually — still can change the nation’s (or the ward’s!) entire direction with a strong enough showing at the ballot box. And if we invest ourselves that far… who knows where it might end? Government of the people… sure has a nice ring to it. We can make it a little more true today than it was yesterday. Politics, as ugly as it is, offers us the opportunity to love our neighbor by participating in something that just might make a better life for all of us. The struggle is par for the course… in politics, and in life. We aren’t going to vote in heaven on earth… but (and here I speak as a Christian yet without authority) we can make room for enduring values to take root and inform social discourse. My own politics are left of center in almost all cases, but I don’t claim they are the “only” politics to have. Caring enough to vote is, in itself, somewhat of an insurrectionist act, a rebel yell. The majority of adult Americans who can vote, don’t. And that shows neither good citizenship nor love of neighbor.